Flooding has been a major concern throughout Pennsylvania this summer, especially in the Central and Eastern parts of the state. After several rounds of thunderstorm on August 13th, communities began to flood and houses became inundated with water. Montgomery County’s Department of Public Safety reported that the Pennsylvania Turnpike was closed between Valley Forge and Norristown. The Schuylkill Expressway and PA Turnpike were also shut down due to flooding in the county. Portions of Berks, Delaware, Lackawanna, Schuylkill, Susquehanna and Wyoming counties were particularly hard hit. 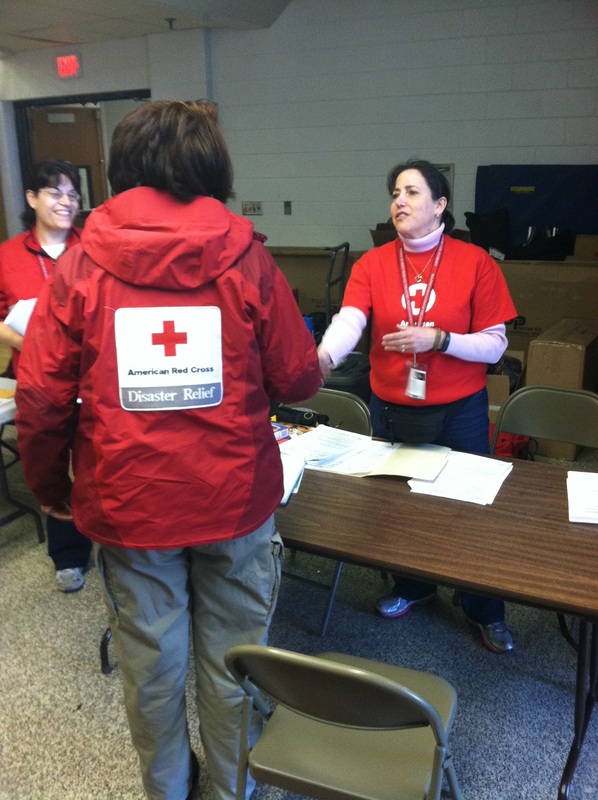 The Red Cross responded to the historic flooding in Delaware County by opening an evacuation center at the Darby Recreation Center for flood victims. Throughout the region, dozens of people fled the floodwaters into Red Cross shelters, which were opened in coordination with community partners. As water levels receded, the Red Cross focus shifted to distributing emergency supplies, serving meals and working one on one with affected families. In the first week alone, Red Cross volunteers served more than 2,100 meals and snacks and distributed hundreds of clean up kits and other flood related supplies. Five emergency response vehicles were deployed to the hardest-hit areas where volunteers could hand out food and emergency supplies door to door. Disaster Assessment teams were sent out to traverse neighborhoods while caseworkers went door to door to talk with affected families, providing more than 75 of them with assistance. To be prepared for flood emergencies, the Red Cross recommends assembling an emergency preparedness kit and creating a household evacuation plan. You should ensure that you have access to NOAA radio broadcasts and keep insurance policies in a safe-deposit box or with pictures on a flash drive. Remember to take precautionary measures for your pets by downloading the Red Cross Pet First Aid app. Home protections might include raising your water heater or electric panels to higher floors, the addition of flood barriers around your house and waterproofing the walls in your basement. Check with your local municipality about the availability of sandbags prior to a flood watch or warning. You can read more about flood safety from the Red Cross by visiting the Red Cross Flood Safety website. Stay up to date with the latest alerts with the Red Cross Emergency App for iPhone or Android. Philadelphia’s Office of Emergency Management offers flood safety awareness with an outline of flooding hazards. At the state and federal level, a Pennsylvania Flooding Recovery Guide is also available. It was early (for a Saturday at least) when I got the call from Dave asking me to come to the shelter. He had been there all night and had fatherly duties he needed to fulfill. I was a little nervous as I had never been to an active shelter response and I wasn’t sure what to expect. As I got ready I scrolled through the Twitter feed that Dave had updated throughout the night. I had no idea the fire had affected so many people and it was just up the road from where I lived! Dave came out to meet me when I arrived at the shelter and updated me on the situation. Several of the displaced residents had found friends or family but around 20 remained. My job was to serve as the contact person if reporters wanted to interview a volunteer or client covering the Wyncote fire. I was also responsible for getting any new updates out to the public. I ended up doing so much more than that. Since it was my first time and I was hobbling around on crutches due to a fractured foot (from a sports injury) I wasn’t sure I would be able to help very much but I soon discovered that the Red Cross provides so much more than basic necessities. It provides human comfort and compassion in the face of disaster. While I waited to hear back from a reporter I started to talk with another volunteer, Greg. We got on the subject of basketball, which as a Dallas Mavericks fan I was happy to commiserate with an equally disappointed Sixers fan. As we chatted, one of the residents joined in the conversation. We talked about our favorite players and moved on to football and he told us about his favorite teams and players. Our conversation turned to our families and he told us about his new granddaughter. Then he stopped and said that he wished he could show us pictures but they were all on the new smart phone his son had given him which he lost in the fire. I reminded him that the great thing about living in this day and age is that cherished photos on cell phones are digital and can be retrieved. He agreed and told us that talking with us had allowed him, briefly, to forget about everything he had lost. He told us that the fire had started from his apartment and you could see the pain in his face as he relived the events of the night before. I quickly changed the subject and Greg and the resident told me about their favorite Philadelphia stores growing up. It was during that conversation I realized that what volunteers provide, more than a warm meal or a cot and blanket is compassion. 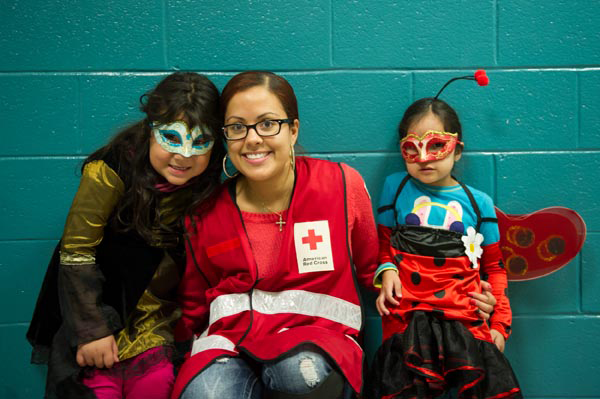 Losses in a fire can be devastating and the Red Cross provides support. We reach out to someone who is suffering and ease their worries, remind them of what they still have and help them keep going. The ability to reach out to someone who is suffering and maybe for a time, ease their worries and remind them of all the things they have not lost and to keep going.